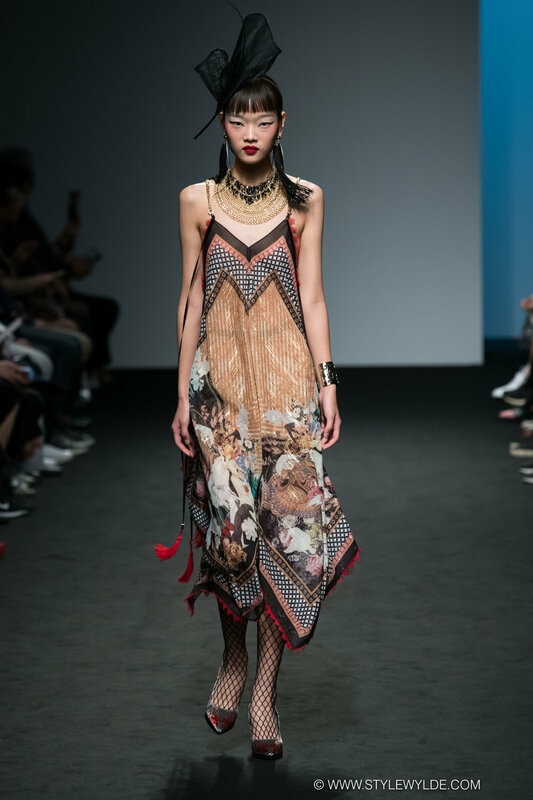 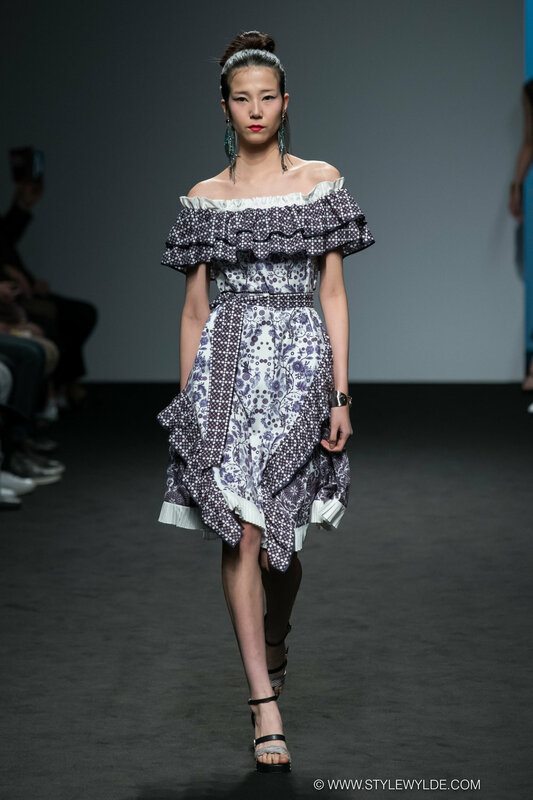 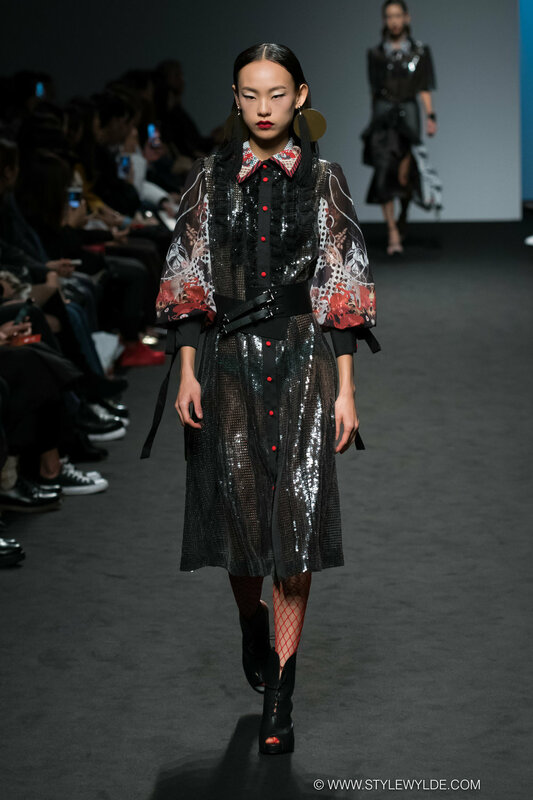 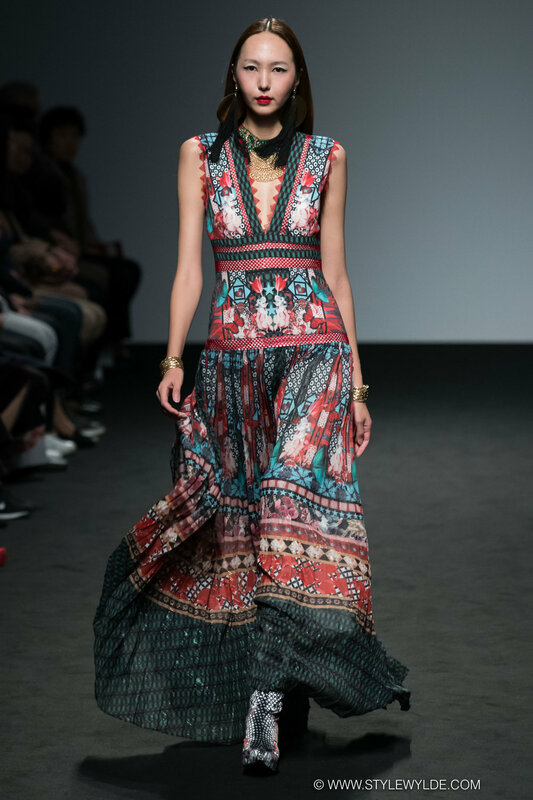 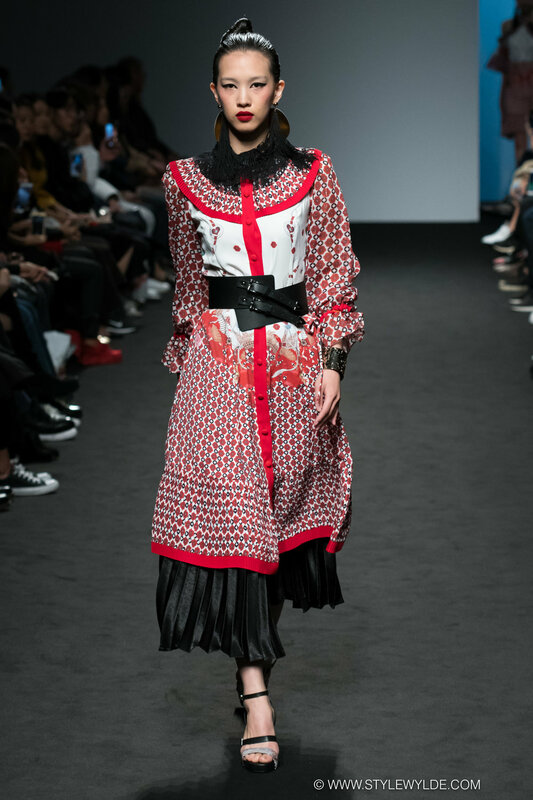 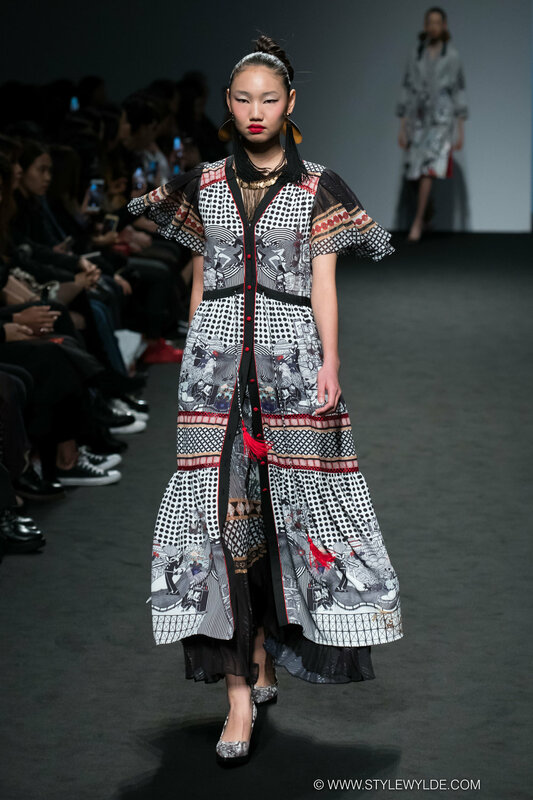 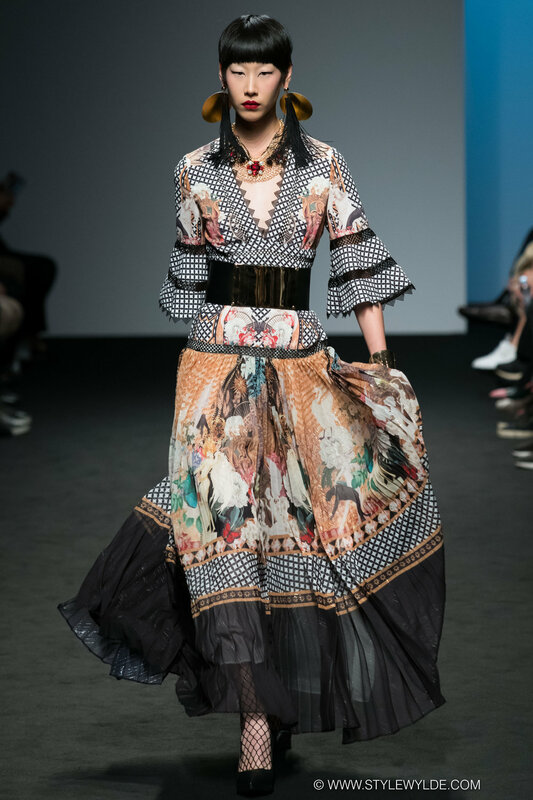 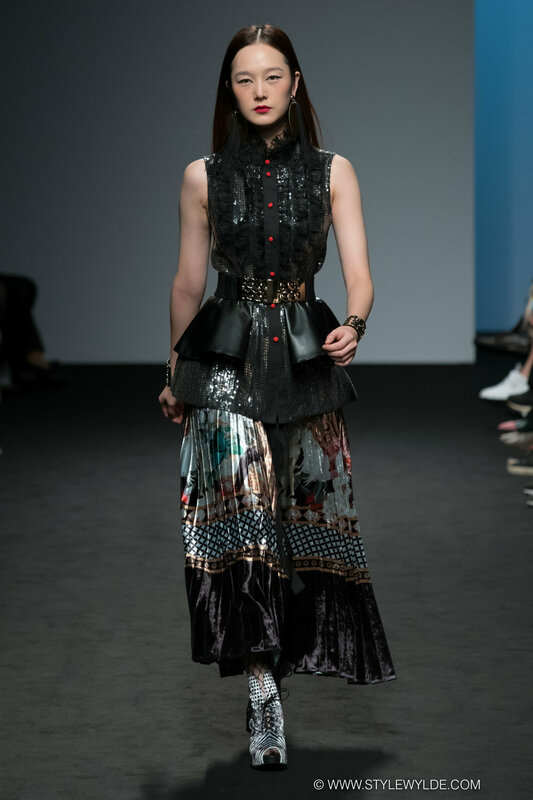 A spectacular blend of traditionally-influenced patterns and modern silhouettes gave the Doucan Spring 2019 collection a powerful punch of originality that stood out from all the other brands at the Hera Seoul Fashion Week collections. 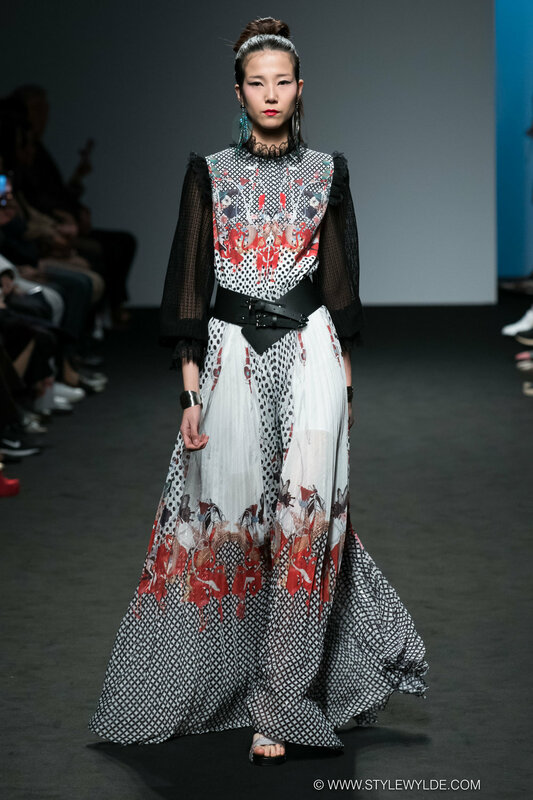 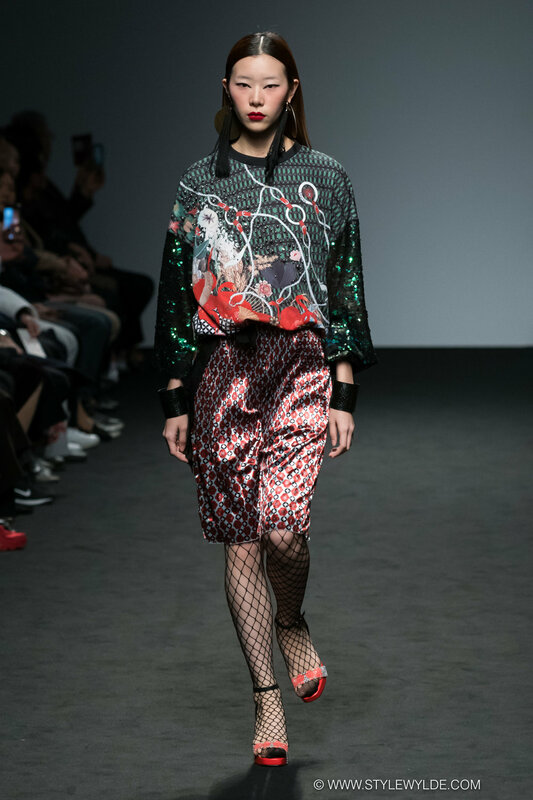 A restrained color palette of neutrals with only occasional reds, greens, and yellows allowed the prints to shine, while the wide array of silhouettes gave the collection appeal for a wide range of ages and attitudes. 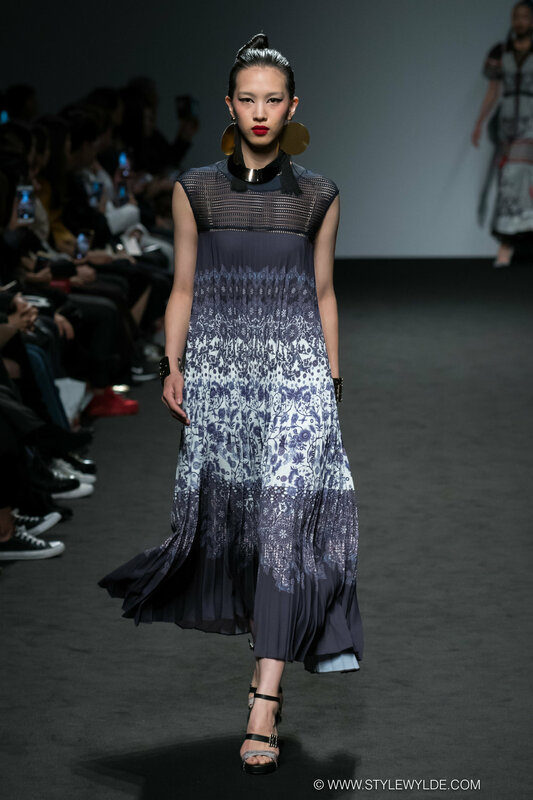 Definitely one of the best shows of the entire week, Doucan delivered both for the coming season and as an example of where Korean fashion can go in the future. 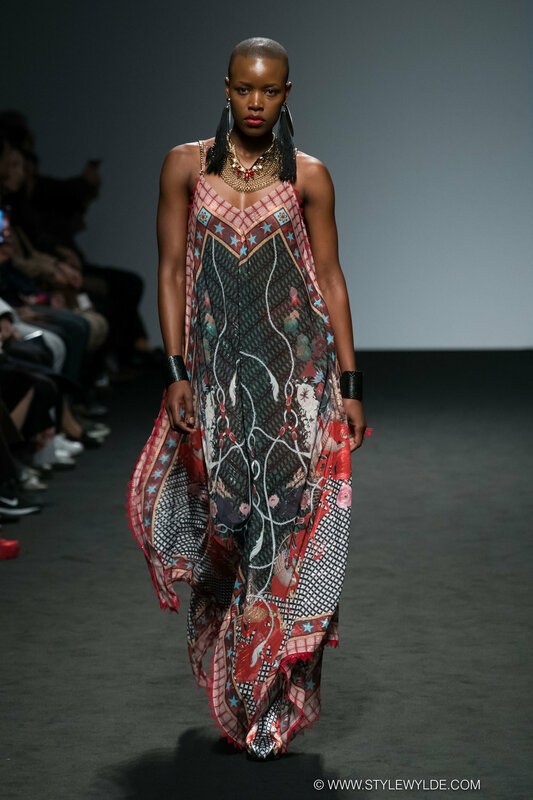 All images Cynthia Anderson/Rex features.